Solo Build It! (aka "SBI!") is the only all-in-1 package of step-by-step process, software tools, comprehensive guidance, 24/7 support and "auto-updating" that enables solopreneurs to build profitable online businesses. We condense the overwhelming and ever-changing complexity into one all-you'll-ever-need, ebiz-building approach. Its 15-year track record is one of "solo success" at unmatchable rates and levels of success. "The team at SBI! really rocked this GDPR stuff... So very grateful I found you back in 2008!" HTTPS, GDPR, Responsive Designs, Open Graph Tags... whatever requirement comes along, SBI! provides you with a one-stop-solution. Today, anyone can put up a professional-looking website. 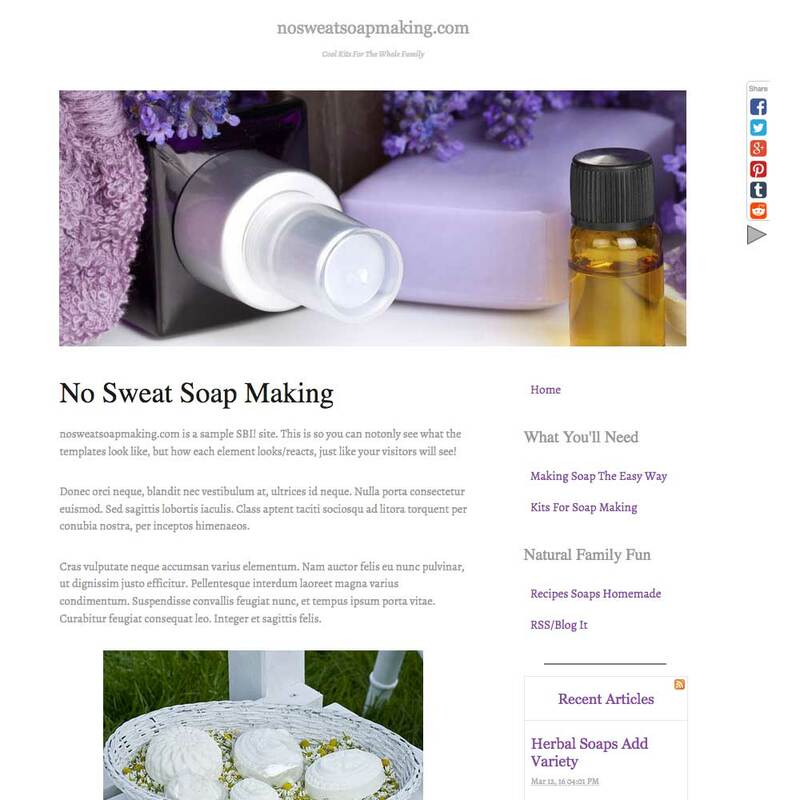 Huge companies like Wix spend a ton to make you believe your site or blog is your business. The result? Most people make the fatal mistake of believing that the site or blog is the business. It's not. Building a site or blog is actually the easiest part. The hard parts are 1) the research and planning stage, 2) the creation of high-value content for your site (and social media), 3) traffic-building, and 4) monetization (converting visitors into income). No "sitebuilder" does the hard parts. You do! 99% of solopreneur-built businesses fail on the critical "hard parts." If one fails, the business dies. If you execute them well, your online business thrives — that is what SBI! helps you to do. Use the only all-in-1 product that provides all you need (process, tools, updating, guidance and support) to build an e-business that generates both long-term, growing profits and high intrinsic value (i.e., "equity"). be sold for a final large payoff — that's "equity." SBI! members build businesses with both. SBI! members succeed at unmatched rates and income levels. See the human side of online business success. More SBIer stories, told in their own words, on their own sites. And we're not talking about just a few successes! to the "end" (growing the largest and most stable income possible). Solo Build It! 's Action Guide (AG) does that. The combination of core information and step-by-step instructions empowers individuals (from novice to sophisticated) to grow long-term online businesses at unparalleled rates and levels of profitability. SBI! is for anyone who has yet to achieve a thriving online business. That has nothing to do with how much you know. It's about applying the right information in the best way possible, in the correct sequence — and doing it with "BAM" (more on "BAM" in a minute). Everything that you need to know and do is in the AG. It's also all that you need — you won't waste time following useless info, or make mistakes due to bad info. This approach works — SBI! has a 15-year proven track record. No one else does. SBI! 's AG breaks the complex project of business-building into 10 (metaphorical) "DAYs." Each DAY is one major advance in the process. See how "site-building" is just 1 DAY out of 10 (DAY 6). DAY 6 gives you the skills to structure and then "fill" your site with high-value, in-demand content. In short, you build a site properly, one that stands out in a competitive crowd. While the Action Guide is the core, there is much more to SBI!. You also require the right tools to optimally execute many of the non-sitebuilding steps (e.g., refining niche selection or maximizing passive social signals). With SBI!, there's no need to discover all the tools you need, or to research which are best — they are built-in and ready to go. It turns out that most people need a little help at some point. SBIers get as much as they want from a community that cares, the SBI! Forums. Everyone genuinely wants to help, and we all work off the same "playbook" (a big advantage). And oh yes... no one has a hidden agenda or tries to sell you a thing. Step-by-step video, written and mobile versions of the Action Guide help you every step of the way, leading you through the most effective online business-building process available anywhere. All the tools you need to grow your increasingly profitable online business. From niche research to sitebuilding to monetization planning, SBI! has you covered. SBI! keeps you up-to-date (so you don't have to waste low-yield time doing it). Whether it's major new developments or the rare golden nugget from hundreds of e-business sources that we track, we have your back. Software updates and additions are free and automatic, too! 24x7 SiteSell Support is always at your fingertips (chat, too!). And get business-building assistance at the "help and be helped" SBI! Forums, a community of like-minded solopreneurs who care. A nice forum bonus — no affiliate tries to sell you anything! No need for a designer, SBI! 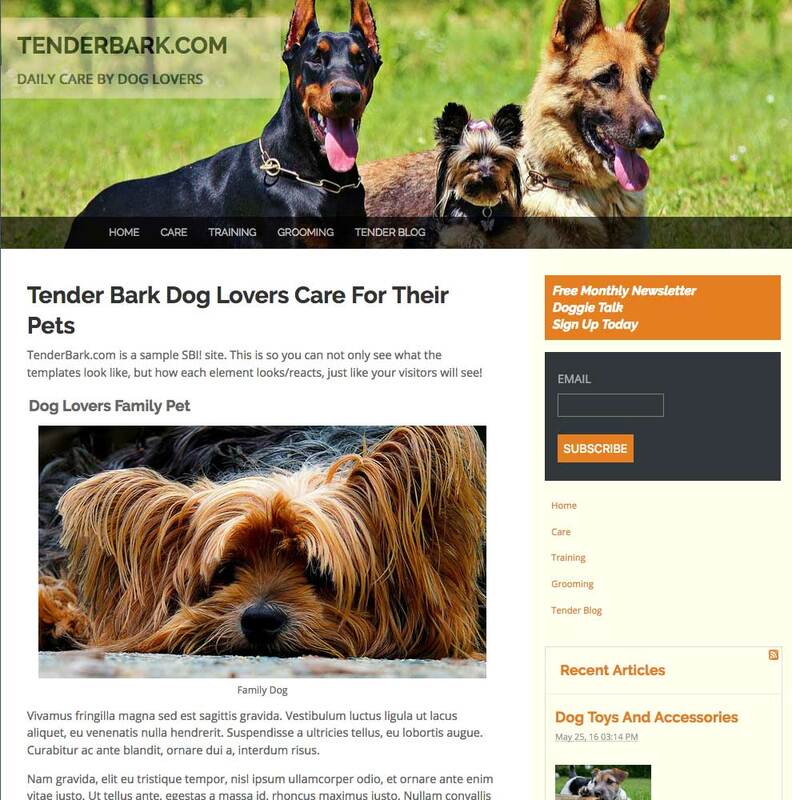 includes over a hundred templates to make your business beautiful. All site designs (and all items within them) can be customized easily using simple, familiar tools. No plugins or templates to buy. No other "levels" of service. Everything is included in Solo Build It!. NOW you can do it using WP! ✅ The ultimate Content Management System and the unmatchable Business-Building System are finally together. If you use WordPress and already know all about SBI!, click here for SBI! for WP. Keep reading to fully understand SBI! 's proven business-building prowess. Just starting a web business?  Take the Video Tour. From Idea to Business, You'll See How SBI! Makes the Difference. Do more than "learn how." Do more than merely put up yet another site or blog that "sits there." The right process, the right tools that remove all the barriers and mysteries, correctly applied at the right time. That is how you grow an online business with increasing long-term profits. That is how SBI! works. To see it in action, take the 30 minute video tour. It explains everything. You will understand how and why SBI! delivers what it promises... your best chance at e-business success. Fully guaranteed for 90 days. For over 15 years, SBI! has proven to be the most effective web business-building system available. Unique guidance and support, superior methodology. Always up to date. Nothing to install, ever! 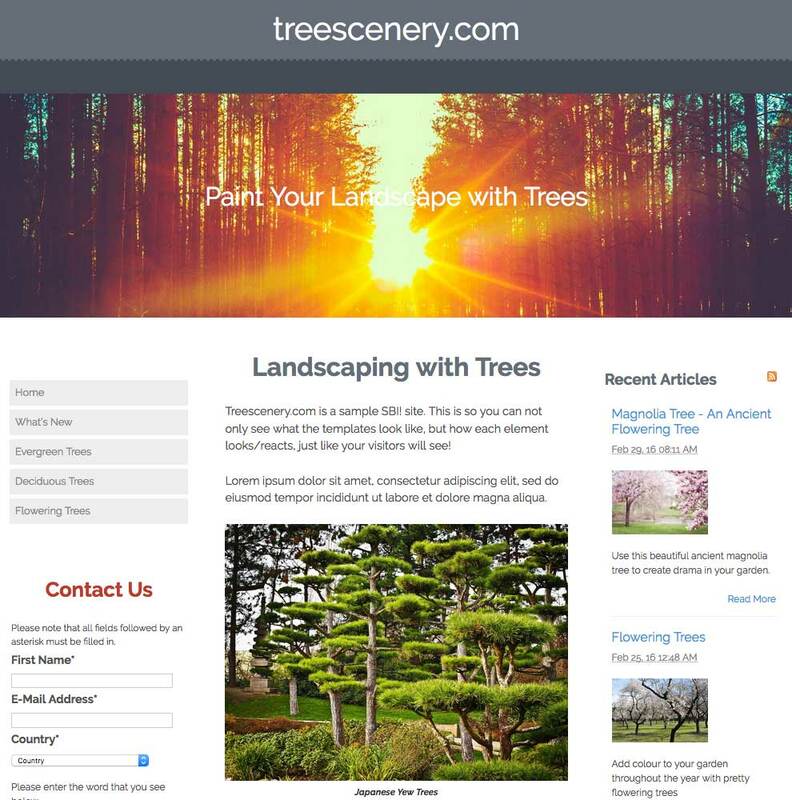 Don't just build a stunning site. Grow a booming business. Call us toll free – 1-888-987-3669. Each SBI! member below has achieved life-changing goals. Click on anyone to understand how s/he did it, and how SBI! enables you to do the same, even if the idea of growing an online business is totally new to you. Gerhild's Story: A few years into her webmaster career, the SBI! lightbulb went off in her head. Once she switched her mindset from "building a website" to "building a business," profits started to soar. B's Story: "B" turned her "crazy idea" about a site covering the Australian Outback into an e-business that has allowed her to become happily self-employed. "Freedom is something that can't be paid for." "Dreams do come true, if you dare them to. And if you work to turn them into reality." Read Fiona's and Jim's story. 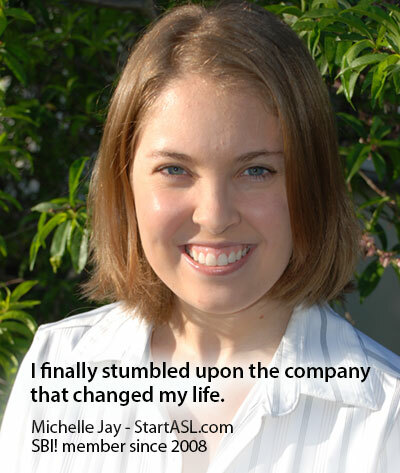 Crystal's Story: Crystal, a non-techie, turns her passion for cooking into a successful online business. It all started with some emails to friends about easy dinner ideas. Now this work-at-home mom with four teenage kids, all in sports, loves how she can work whenever and wherever she wants. Richard's Story: An "offline entrepreneur," Richard is using his SBI! site to drive sales out of this world. Richard's product development went from the city dump in Ottawa, Canada to a licensing deal that will distribute his unique, patented fence post stabilizer for wooden decks in stores throughout the United States. His theme-based content site allowed him, as Richard says, to "seed the market, prove the concept and create incredible buzz among the public who now go into stores demanding the product." 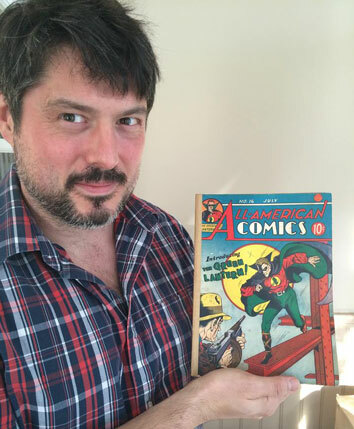 Ashley's Story: Ashley's passion for vintage comic books has made him the "superhero" for people trying to assess the value of their collection, or trying to sell it at a fair price. Only four years into his business, he turns over hundreds of thousands of dollars buying and reselling comic books, earns a sizable commission from eBay's partner network, and has just signed the contract for his first office space! 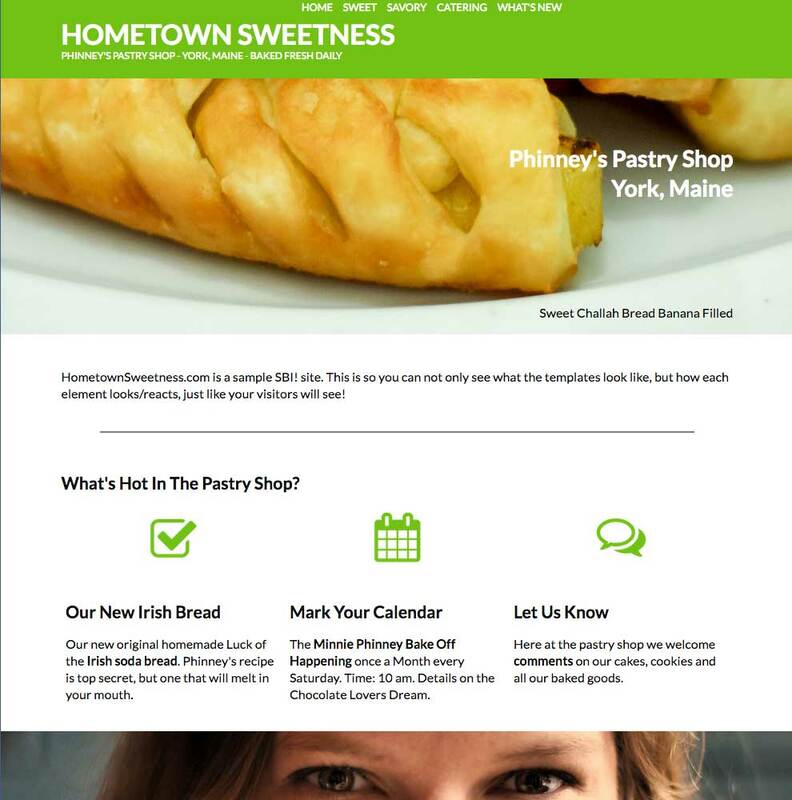 Patty's Story: Patty knew nothing about the online world except how to check emails and do Google searches when she started her website. 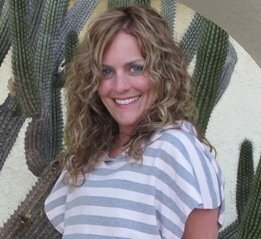 Four years later, she had a growing coaching business and multiple secondary income streams, including her own e-books filled with various vegan cooking tips and techniques, and a weight-loss e-course. Two years further on, her husband Jeff joined her in running their service business, which is now their main source of income. The best part? It allows them to travel together while making money. Steve's Story: Steve and his friend had nothing to lose. They had both been laid off after the stock market crash. They had no capital, except their own time and sweat equity. So they rolled up their sleeves and started building their two SBI! businesses for cell tower landlords. In 2010 — just two years later — they were featured in the New York Times. A little later, as Steve puts it: "things just went gangbusters." Now they are on track to achieve their first 7-figure yearly income. Motivation: high level of determination. Our track record is a quantum leap better than whoever is second best. We have 20 years of experience with solopreneurs, longer than any other company. We've seen "quick and easy" techniques come and go. They always do go, to be replaced by new, false promises. Recently, though, some of the largest hosting and sitebuilding companies are advertising how easy it is. Sadly, "easy" won't cut it. Trust us when we say, "It's not easy." It takes work to achieve business success. We can (and do) simplify it... yes. We make it doable... yes. How? We break it all down into best-practice, always up-to-date, optimally ordered steps. You follow those steps. It works. 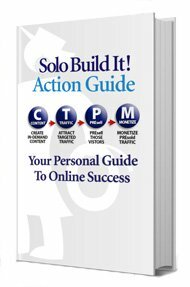 Auto-Updating  100% FOCUS, 0% "FOMO"
Our flagship product, Solo Build It!, provides the exact, step-by-step always up-to-date process that enables you to succeed, as well as the tools you need, and guidance when you need it. The process, called C T P M, has evolved over a span of 15 years. It has integrated every new Internet development (e.g., RSS, Web 2.0/user-generated content, social media, mobile, etc.). SBI! 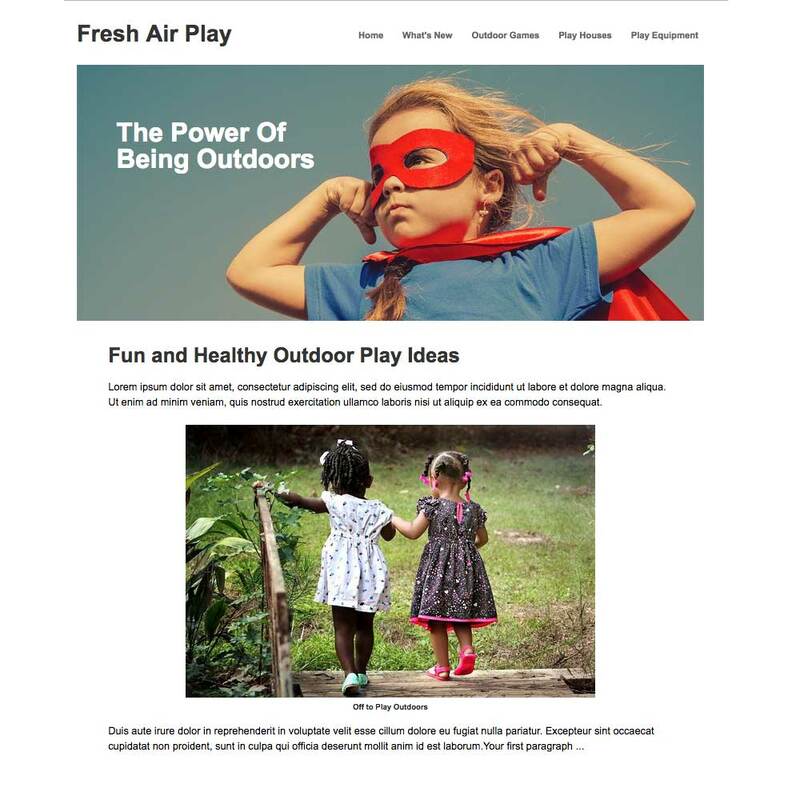 has a long list of "firsts," from concepts like "PREselling" and "content marketing" to Content 2.0 (the first product online to enable visitors to contribute like a mini-Facebook, except better). "C2" pushed online businesses to heights never before possible. Another example is the complete redevelopment of our sitebuilder, BlockBuilder 2 — a multi-year, multi-million dollar development so SBIers could better capitalize upon new trends and site-building needs that were (and are) coming. One last example, because auto-updating is an important advantage of SBI!. When mobile started growing rapidly, theories flew about the best way to do a mobile version of one's website. Many wasted considerable time on complicated "mobile solutions" — even entirely separate versions of the same site. We researched and watched, resisting the hype and urgency. When Google announced that "responsive design" was the optimal/preferred way to "do mobile," debate ended. We took that direction, saving each SBIer weeks of wasted time. 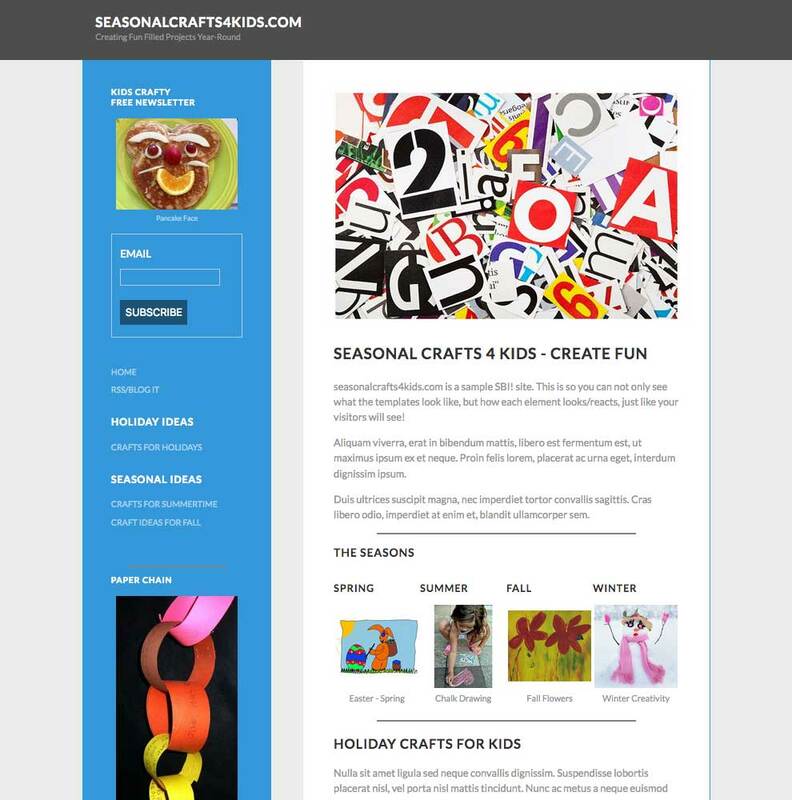 The result was an incredible update to our Site Designer, Block Builder and themes. getting conned into incredibly convincing "Get Rich Quick" schemes. On top of that, we track hundreds of blogs, newsletters and social media so that you don't have to try to figure it all out. You get only the best info, tucked into the system for the moment you need it, keeping you distraction-free, focused 100% on business. In a fast-moving Internet where you can't afford to miss something or make a wrong choice ("FOMO"), eliminating that anxiety is huge. Putting 100% of your time into growing your business, confident that we have your back, is one of the most important things that we do for SBIers. The solopreneur rate of success is dismally low. SBI! 's objectively proven track record speaks for itself. BEWARE! What do you do when you can't beat the best? One company's affiliates write fake reviews about SBI!. And then? They recommend their product — no proof of success, of course. If this wasn't so sneaky, we'd be flattered. Beware of this dirty trick — it cuts your chances of high-traffic success by 97%! Click Here to Order and Start Today, Risk-Free. If you use WordPress, here is the great news we've promised! If you do not, skip this section and continue below. Have You Struggled to Generate Income With WordPress? WordPress is the most widely used Content Management System in the world. Its plugin capabilities extend its blogging and sitebuilding functionality enormously. But WordPress is not (and was never meant to be) a complete business-building system of process, software (beyond plugins), and guidance. For example, WordPress does not come with a business-building Action Guide. It does not have the detailed research tools that you need to make the best niche decisions possible. Nor do traffic-building, social media, or monetization (key business-building steps) belong to WordPress. How Does It Prevent or Turn Around My Failure?" SBI! for WP combines WordPress and your hosting with a version of SBI! that includes all the business-building steps. It includes everything except the SBI! sitebuilder and SBI! 's hosting (you already have that). In other words, SBI! for WP adds all the business-building steps and tools that you need to succeed. The price of SBI! for WP is 50% less (since you provide your own hosting and WordPress). SBI for WP! is otherwise identical to what has made such a high percentage of SBIers successful. Read more about SBI for WP here. Or get started right now. Already have a WordPress site? Is it failing?  It's never too late to save it with SBI!. Simply follow the Action Guide, fix what's wrong, add what's missing. Or... If you are starting a brand new business concept, you'll do it correctly from the very first planning step, all the way to "money in the bank." Add SBI! 's business-building effectiveness to WordPress. Why Build a Site or Blog When You Could Build a Business? Online, everyone seems to forget that a site or blog is not a business. It is just a site or blog, sitting there. Have you prepared well beforehand? Are you able to build traffic? Do you have a monetization plan? SBIers build businesses, not mere sites or blogs. There are hundreds of faster ways than SBI! to put up (yet another ineffective) site or blog. But there's no better way to build a winning e-business than SBI!. If "Do or Die" Came Totally Risk-Free? If SBI! is not for you, for any reason, you don't lose a thing. You are protected by the Money-Back, "Confidence of Success" Guarantee. How Do You Know If SBI! Large companies now pitch slick ads to the mass market that making money online is easy. They grow huge by selling dreams — there are millions of Wix sites. Most people are quick to jump on "what's easy." No need to make the sacrifices that hard work requires — especially when hashtags tell them "#ItsThatEasy." The immutable laws of business state that it can never be "that easy" to build a profitable business. If it was, we'd all be as wealthy as Brett Favre! SBI! helps you build a profitable Web business, not just websites or blogs (which are just one piece of the bigger online business jigsaw puzzle). Yes, any primate can put up a website nowadays. But a website's not a business. It just sits there. It does not generate #income or #equity. It takes one heck of a lot more to build a profitable online business. A teeny fraction of solopreneur-built sites become successful businesses. This results page and various studies show that SBI! businesses succeed 100 times more often than average, and at higher income levels. Yes, really... 100x. It's not "that easy," not if "it" refers to building an online business that brings you life-changing goals. Even though we have condensed and simplified SBI! into an all-in-one product, building a business takes work. If you are serious about building an online business, you've come to the right place. There is no proven-better way to do it. But if you just want to build a site or blog, you don't need SBI! for that. Anyone can do that, using any product. You will finish with a site, no matter where you go (it doesn't matter — Wix, Weebly, Yola, WordPress, GoDaddy, etc.). But a site is no more an online business than an empty office or storefront is an offline one. at a minimum, make a substantial difference to your profitability. Some companies throw in some tools and articles with their hosting and sitebuilding. It's not the all-in-one, committed-to-your-success, up-to-date business-building system that you need to grow a profitable web-based business. Online business has an obvious goal. Only SBI! provides detailed proof of delivering on that goal. Isn't that what it's all about? If you have not already watched the  SBI! Video Tour, please click here. It explains everything about how SBI! builds businesses. What Is Special About SBIers? SBIers are "The Anti-GetRichQuick." They know that building a real business that lasts is not about getting a site or blog up, cheap-quick-&-easy. Nor is it about chasing short-term dollars with the hot trend of the day. SBIers are a rather elite group, both in terms of having what it takes and in the results they get. They are also flat-out nice people. This web page and site are longgggggg. Heck, it's almost a "test!" If you're still here with us, you'll do great with SBI! because you already have the "anchor leg" of BAM. Some would-be solopreneurs don't think they know any particular niche well enough to build a business around it. SBI! even has has a tool for that! It helps find and develop niches that are perfect for you. Is Building an Online Business Right for You? It's not for everyone. There are both upsides and downsides, pain for gain. It sounds great, but are you willing to make the sacrifices that are needed to find the time? See how to start an online business. It's a balanced, realistic, no-hype look at what life as a solopreneur is like. We only want you to become an SBI! member if it's right for you. Otherwise, you won't last — and what's the point in that? Brain: you know a lot about a niche (no need to be "brainy"). Attitude: positive, optimistic, you know that ups follow downs and vice-versa. Motivation: high level of determination, able to focus and "get it done." BAM by itself is not enough — most folks need SBI! to release all their raw potential. Nor is SBI! sufficient — if you don't have the motivation to get this far, for example, you're less likely to succeed with SBI!. The combination, "BAM + SBI!," is what deservingly sets SBIers apart. SBIers focus upon building genuine businesses, ones that deliver evergrowing profits and freedom for the rest of their lives. Who are they? Some are total newbies. Others are experienced Internet marketers (but who have yet to succeed — "web-savviness" contributes little to success). Some are starting a brand new e-business. Others are trying to fix an existing one. Some are local business owners. Others "go global," selling ads, services, e-books and even their own products around the world. Whatever the nature of their business and level of "Internet-savviness," they succeed. They do it without spending thousands of dollars on add-on tools, "must-have" subscriptions, designers, webmasters and search engine experts. They own their sites, their businesses, and their lives. What else is different about SBI! members? niche selection — a cornucopia of niches is dominated by SBI! members. This wide array of countries, businesses and niches come together at the world's most constructive small-business meeting place, the private SBI! Forums. More on The Place for Friendly, Business-Building Discussion below. Most folks prefer to believe "maybe it really is that easy." SBIers know what it takes. Our small SBI! community is a special one... realistic, ready, motivated and focused on winning. Personal Message From Ken Evoy, Founder of SiteSell Inc. Even though nothing comes close to SBI! 's rate and level of success and even though it costs less than $1 per day, the chances are that you will end up somewhere else. sitebuilders. The income never did come rolling in once my site was up. WordPress, GoDaddy, Yola, 1&1, Wix, you name it! Same story. Somehow, I bought into all of them. I can't explain it. All I got was confused. Then I happened across SBI! again. This time I understood why a site is not a business. Once I started SBI!, it only took me a few days to realize that this was IT! You can feel the difference. It's solid. It makes sense. I know what I'm doing and why. Yes, indeed... Why not take advantage of The Guarantee and just try a purchase as a free trial? It's bad for you. At best, you lose a lot of time. At worst, you may give up on the whole idea of building an online business. And it's bad for us for the same reasons. If you have BAM, we'd love to see you thrive. Some do find us and buy into our message right away. They "get it" and try it, and most love it. It it's not right for someone, we refund promptly. 1) Many are fooled by "Get Rich Quick." The sales copy is fiendishly brilliant, convincing you that "this is different." It's not. You end up disillusioned that "it's all a scam." 2) A recent variation features nationally advertised products that promise "it's easy" (e.g., Wix). The money does not come rolling in. This is more serious than the "GRQ operators" because major companies have never made this type of promise. You are, therefore, more likely to give up on the whole thing before even trying SBI!. New for WordPress users! We started SBI! for WP for this reason. WP is excellent, versatile sitebuilder/blogging software. You can now use SBI! with WordPress to generate the same high success rates that SBI! users achieve. Try it today. You're covered by the same 90-Day Guarantee. 3) Many get temporarily sidetracked by urban myths about SBI!. Others are misled by malicious "Site Build It! scam" and fake negative-review campaigns that are orchestrated by the unscrupulous with their own agendas. Our 20 year history of success breeds, by its very longevity, ideas about SBI! that are incorrect. No maliciousness intended, they're wrong or 10 years out-of-date. See Urban Myths. On the other hand, unscrupulous affiliates have switched allegiance due to higher payouts from Web hosts. Great SBI! reviews turned mediocre for the dollar, not for your best interest. The malicious have banded together to spread lies and disinformation online. Debate brings a swarm of flames, so we issued an official reply page. We invite them to reply there. They have chosen not to. How to Figure It Out Fast! No other company provides proof of success of unmatched rates and levels of success. Ask yourself why you have never seen such verifiable, documented proof elsewhere. It can only be because no other company can honestly do so. The 90 Day Money-Back "Confidence of Success" Guarantee. Take advantage of it to turn your purchase into a 90-day free trial. Building income and equity is the bottom line that no one else proves. The results of the free trial are your opinion. And that is the only evaluation that matters! What's the worst that can happen? You will learn a lot, for free. Understand how the 1) powerful process, the 2) uniquely complete set of tools, the 3) world's best set of forums and our 4) constant "keeping-up-to-date" (so you don't have to), all mesh-as-one to deliver success that nothing else, no product or company, even approaches. Don't miss key pages such as this explanation of Content 2.0, which leapfrogs SBI! beyond blogging. Understand why conventional hosting can't compete. Compare SBI! feature-by-feature to "big brand competitors." Take 30 minutes to watch this video tour that shows you exactly what SBI! does, and how and why it works. Continue reading the rest of this page (below). Consume even more information on SBI! here and then explore the parts of the SiteSell sitemap that are relevant to you. It's a lot of research. But everything you need is on this site. Your future business is worth the patient investment of time. But I recommend taking the risk-free trial now. It gets you started while you continue to decide ("hands-on research"). One last thing... If you have any questions, ask a SiteSell Advisor. SBI! just flat-out works. You now know enough to get started. Have doubts? The best way to eliminate doubt and procrastination is to just try it (risk-free!). Naturally, most people won't try it. But if you have read this far, you're not like "most people." You still have some doubt, of course. To eliminate that, it's way faster to try it for yourself than read forever and gets swallowed up by the noise. You discover that SBI! is the "where have you been all my life?" product. If so, you are about to embark upon a life-changing fork in the road of your life. We're honored to do it with you. Ready? Get started, right now, totally risk-free. You Really Got This Far? This page covers assorted topics that didn't really fit anywhere else! What Is the Significance of "Top 0.5%"? SBI! sites work. They succeed at a high level... Top 0.5% of all sites on the Internet. Most importantly, they become profitable businesses. Update 2016: As time passes, SBI! sites have improved from Top 3% to Top 1% to Top 0.5% of the most highly trafficked sites. However, a new and ongoing study took a different approach than our earlier one. We recently did a complex study searching for high-traffic solopreneurs. SBI! excelled, contributing at a rate that was up to 100 times greater than average. Sad conclusion: Given that solopreneur sites make up the majority of the 170 million active sites, the odds of attaining true success are remote. The "make money"/"how to" and sitebuilder/hosting industries surely make more money than the tens of millions of solopreneurs who are trying. Since traffic is the root of all income (try monetizing without it! ), it's one more reason why we can say that SBI! builds profitable businesses at rates and levels of success that far exceed anything else. Happy conclusion: SBI! makes online success doable! 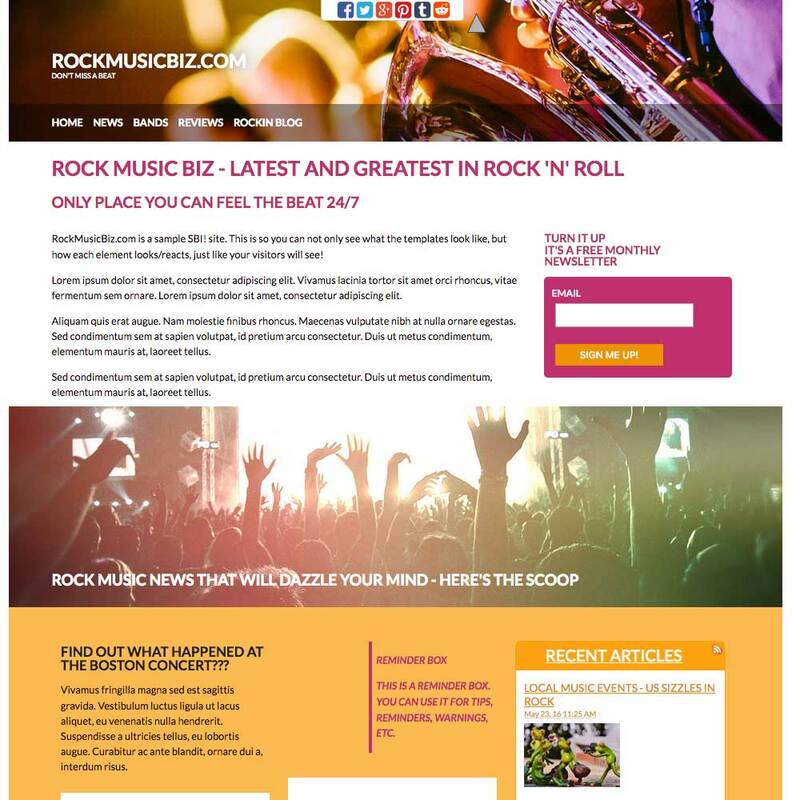 what's new (we track hundreds of Internet marketing/small e-business feeds and newsletters and boil all that noise down to the occasional key nugget you need). Nothing stays the same online. SBI! 's unique C T P M process evolves with the Web, keeping you ahead of the crowd. e.g., "Socialize It!" — SBI! evolves to progressively socialize your business in a way that makes the best use of your limited time. Right steps, at the right time. Click here for more information on Brainstorm It! v3, free with SBI!. e.g., "Brainstorm It! V4" is the world's first smart brainstorming, niche-picking and keyword-researching tool (see right). Automated "smart tasks" uncover many more opportunities than does manual digging into mountains of data! More innovation is coming. "BI!" is about to become your ongoing partner, notifying you (via your choice of email, text, browser) of content opportunities, monetization suggestions, etc. The most amazing part is that you don't do a thing. Upgrades, updates, improvements... they all come to you automatically. It all works together — nothing breaks with an upgrade. And it's all for free. Only SBI! delivers "Process, Tools, Updating and Total Help/Support." How do you know it works? Investigate the verifiable, documented, and objective proof of success. those without any e-business or Internet-marketing experience. the "savvy-but-yet-to-succeed." SBI! corrects bad habits and refocuses on "build a business," keeping you on the straight and narrow to serious, long-term goals. Click here. The SBI! Video Tour explains everything. Many "savvy-but-yet-to-succeed" marketers have learned much over several years. But nearly everyone takes at least 1 of the 5 most common wrong forks in the road, costing time and money (and headaches!). Major schools like the University of Arizona offer SBI!. Why? you lack the right tools to actually build a business. figure out all the conflicting advice from all the "gurus"
keep up with all the fast-changing developments in the e-business world. And that's not the half of it. It can be paralyzing. Now Take a Moment and "Experience" SBI! SBI! activates and motivates. No paralysis here! SBI! does it all for you so you focus on what moves you ahead... building your business. You are not a number. We care about your success. Your success is our business. Follow a natural, powerful process. Use the tools (they are all included) to execute the process. No need to "keep up" — SBI! does it for you! Get 24 x 7 help and business-building support, simply the best. Focus on building your e-business. Period. Stack the odds in your favor! genuine equity (real value if/when you sell your business). SBI! is so much more than a website or blog. Build more than a site. Heck, build more than a business! Build your personal and family's freedom and independence. We know it's hard to believe — so many companies over-promise. So "Just Try It" totally risk-free. You'll see that SBI! truly over-delivers. SBI! sites work. They succeed. Top 1% to Top 3%. 1,000 randomly selected SBI! sites were studied several years ago. At that time, there were fewer than 57 million sites on the Web. The total number of active sites (have content, pay for hosting and have their own domain names) is now stable at 170 million! All statistics are according to Netcraft.com, a leading Internet demographic firm, and according to Alexa.com, the leading traffic-measurement company. Netcraft tracks the Web hosting industry intensively. Alexa is owned by Amazon.com and is powered by Microsoft -- it measures traffic popularity based on 10 million surfers. 62% scored in the top 3%. As the years go by, as the number of sites grows (now about 170 million! ), the natural and powerful process-and-tools of SBI! get stronger. Each time this study is conducted, SBI! members rank higher against other sites despite the increased "competition" from far more websites. Today, a greater percentage than ever of SBI! sites make it into the Top 0.5% of all active sites in the world (i.e., Top 1 in 200)! In other words, as the Web gets more complex and competitive, SBI! enables solopreneurs, the largest segment of online business, to do significantly better than their online colleagues. 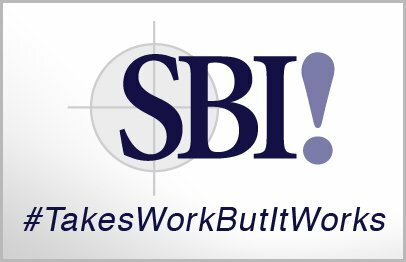 Important: We are not saying that the only way for a solopreneur to succeed is by using SBI!. People do succeed without it. But if you have the right attitude and are determined to succeed, your chances of significant success are much higher with SBI!. SBI! members from a wide variety of countries, businesses and niches come together at the world's most constructive small-business meeting place, the private SBI! Forums. Thousands of like-minded and positive people gather to "help and be helped" at over 60 forums. The forums cover every conceivable business-building subject. No question is too trivial or too advanced. Someone always answers at this single-best small-business resource in the world. A state of mental or emotional strain caused by the fear of missing out. An omnipresent anxiety brought on by our cognitive ability to recognize potential opportunities. A form of social anxiety — a compulsive concern that one might miss an opportunity, often aroused by posts seen on social media websites. Solopreneur: An entrepreneur who works alone, "solo," running a business single-handedly. S/he might hire contractors on a project-by-project basis, but retains full responsibility for the running of the business. You are a "solopreneur" if you want to start an online business on your own. What distinguishes solopreneurs from entrepreneurs? Entrepreneurs typically have a grandiose vision and bigger goals. Solopreneurs value freedom, control and work-life balance. As a solopreneur, you do not want the bother of managing people or being responsible to investors. Of course, being "solo" limits the amount of time for growing the business, which in turn limits size and income. You happily accept that tradeoff. How does a solopreneur grow into an entrepreneur? You still hire contractors, as needed. But now you add part- or full-time employees, in stages (as growing income allows). Even with an employee or two, you may still consider yourself to be a solopreneur. Solopreneurs become entrepreneurs when they "snap" into a "grow a big business" mindset. Few choose to do so, but it's a viable option for the solopreneur who discovers "the entrepreneur within." A fork in the head is what you're left with after you take the wrong fork in the road... a headache. Misconceptions and lures are rampant on the Web. They present you with critical forks in the road. Choose the wrong fork and you waste a year or more of your life and thousands of dollars. Falling for myths and lures has an even greater opportunity cost... what could have been. Fork #1: "All you need is cheap hosting and free blogging software." The old mantra was, "All you need is cheap hosting and free sitebuilding software." Blogging has become "the new quick-cheap-easy way to fail." A site or blog is not an online business. Blogging is ideal for certain types of e-businesses. But for most, blogging is the wrong format. Fork #2: "WordPress is the best way to blog." Absolutely! But not only is blogging the wrong format, "WordPress out-of-the-box" cannot build a web-based business. You need more than that. And you need all of it in one place. WordPress is the way to blog, but SBI! is the way to build an online business because it delivers "everything else." That's why we married the two. SBI! meets WordPress and vice-versa. Check out SBI! for WP. Fork #3: "It is possible to Get Rich Quick on the Web." Many people are too impatient to build real businesses. That's why they repeatedly fall for convincing "Get Rich Quick" sales copy, always believing that "this one is different." SBI! is all about you building a profitable online business. It is not "Get Rich Quick." Fork #4: Web hosting today: "Put it up cheap, quick and easy." Fork #5: "I already have a site. I don't need SBI!." "Having a site" and "building a business" are not the same. 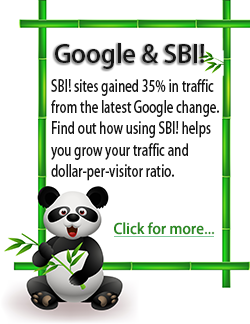 If you like your site, use SBI! to build traffic to it. If you don't like it, transfer to SBI! and redo it properly from the ground up. Either way, you'll be building a business. And that's a whole lot better than just having a site.